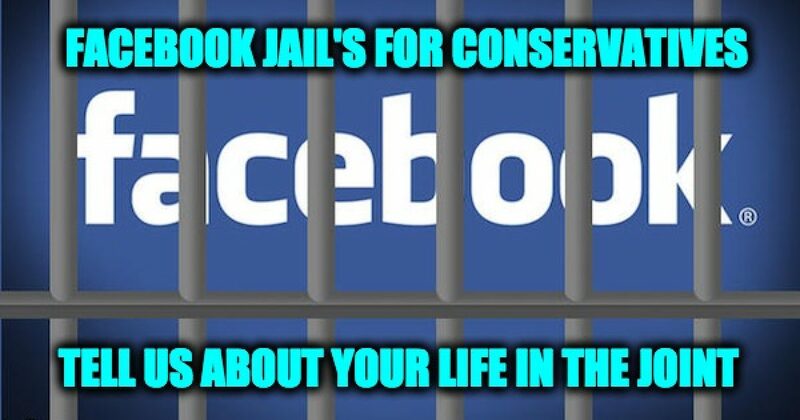 That the meme “Facebook Jail” has become so popular, especially among conservatives, who make up at least 90% of its inmate population, is a sad commentary on the times we live in. Many who rely on this social media leviathan for exposure and, concomitantly, a living are finding themselves blocked, banned, or censored. Some users have even had their accounts disabled for no good reason and without explanation or appeal. Now a new site has emerged that seeks to swap the roles of the jailer and jailed. Its name, Facecrook Jail, is a riff on the meme, and it not only documents instances of bias, censorship, and abuse by Facebook but also lets users share their own experiences and grievances with the social media site. Such as the little ditty received just yesterday. 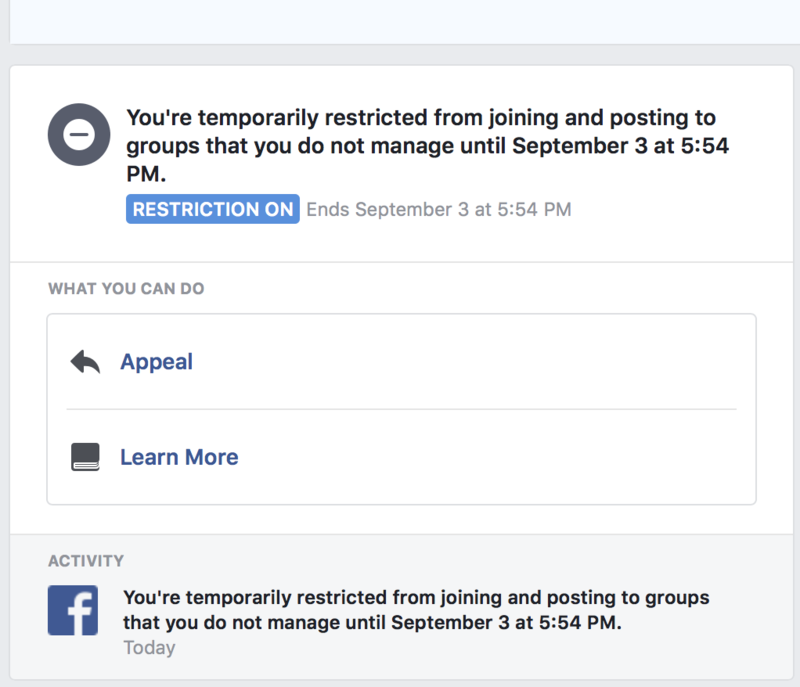 On Sunday, Rusty James, the owner of FaceCrook Jail, told Conservative Firing Line the idea for the site came in May 2018 after his two favorite bloggers were suspended by Facebook in the same period of time. James said he trusted their work, adding that they often broke stories larger outlets wouldn’t touch. Sadly, many people fail to appreciate just how much impact social media censorship has on the electorate. By censoring one point of view, for example, Silicon Valley tech giants can actually impact the outcome of elections. Those individual websites are engaging in contracts with users in the states and can be regulated for bad faith, unfair dealing, and fraudulent inducement. Section 230 of the Communications Decency Act of 1996 would safeguard Internet providers and search engines from this act but not interactive individual websites with more than 75,000,000 people who market themselves as being open to the public and open to the sharing of ideas only to prove otherwise. As a result, Sevier has drafted a piece of legislation called the “Anti-Social Media Censorship Act of 2019,” which is being considered by multiple state legislators. My favorite example of Facebook being Facebook was a sting proving Facebook Bias. In 2016 Israel Law Center opened two separate hate sites on Facebook, one anti-Jewish and the other anti-Palestinian. Each post on the two pages was put up at the same time on the same day. The hate posts were similar in sentiment and language; the only difference was the target. Only after the Israel Law Center published a video revealing the sting (see the end of post) did Facebook take down the rancid anti-Israel page. In addition to news and information about Facebook censorship — much of it is found on Conservative Fring line—FaceCrook Jail encourages those who have been targeted by the social media to tell their stories. Rep. Jerrod Nadler (D-N.Y.) claimed that social media censorship doesn’t exist and is nothing more than a conspiracy theory. Of course, he said the same thing about salad bars before he had his stomach stapled, and opined that the Iran deal was a good thing. Therefore I don’t think jerky the Jerald is someone to believe. Because those who have been targeted by sites like Facebook like the authors of this post, know better. And now they have an outlet to tell their stories.